Whether it is his faith, his family, or his football team, Edwards exudes passion in all areas of his life. 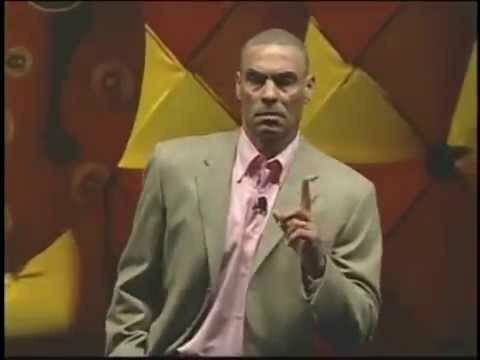 That energetic and enthusiastic approach best defines how he approached his task as the former head coach of the Kansas City Chiefs. That same energy and enthusiasm will be directed to Edwards’ new role as in-studio NFL analyst for ESPN. Edwards has become one of five coaches in NFL history to take two different teams to the playoffs in their debut seasons with them and he will use this diverse background in pro football to be one of the most informed and educated analysts on television today. In 2006, he became the first head coach in franchise history to guide the Chiefs to the playoffs in his initial season with the club. In his debut campaign with Kansas City, he posted a 9-7 record, a mark that tied for the most victories by a first-year coach in franchise annals. After leading the Chiefs to the postseason in 2006, Edwards became one of just five coaches in NFL history to guide two different squads to a playoff berth in their debut campaign with those teams. Edwards also led the New York Jets to the postseason in his first campaign with that squad in 2001. In total, there were 11 NFL squads that began the 2006 campaign with an 0-2 record, but the Chiefs were the only member of that group to reach the playoffs. In fact, Kansas City became just the fifth team since 2000 and only the 18th squad since ‘90 to bounce back from an 0-2 start and still earn a spot in the postseason. 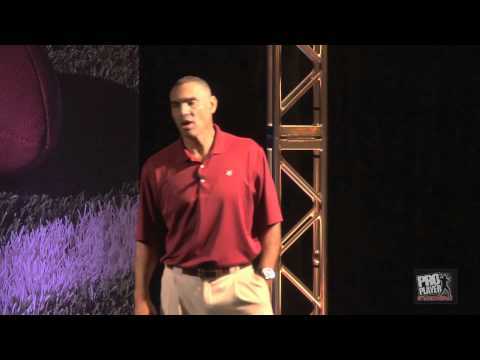 Embarking on his seventh season as an NFL head coach in 2007 and his 28th overall season in the league as either a player, a scout, an assistant coach, or a head coach, Edwards’ diverse background in pro football provides him with a unique perspective on how to build and lead a team. During his previous 27 seasons in the NFL, Edwards’ teams have reached the playoffs on His initial NFL coaching experience came with the Chiefs at training camp in ‘89 as the recipient of the club’s Minority Coaching Fellowship. Edwards is the first graduate of the Minority Coaching Fellowship to go on to become the head coach of the franchise for which he served his fellowship. After serving as a scout for the Chiefs from ‘90-91, Edwards served as Kansas City’s defensive backs coach from ‘92-94, filling the void left when Dungy departed the Chiefs to become the defensive coordinator of the Minnesota Vikings. When Dungy was named Tampa Bay’s head coach in ‘96, he recruited Edwards to join his staff as assistant head coach/defensive backs coach. Edwards joined the Chiefs after posting a 39-41 record in five seasons as head coach of the N.Y. Jets (2001-05), the third-highest victory total. Edwards was on the sideline for five postseason contests with the Jets, the best total of any coach in team annals. He registered 35 victories with the Jets from 2001-04, tying Walton (’83-86) for the most regular season wins by any coach in his initial four years with that team. The Fort Monmouth, New Jersey native is one of eight former NFL players who are currently serving as head coaches in the league. He enjoyed a 10-year pro playing career from ‘77-86, spending the first nine of those seasons with Philadelphia. Despite his undrafted status, Edwards was in the starting lineup by his first preseason game as a rookie and never missed a start during his nine-year tenure as a cornerback with the Eagles, opening a remarkable 135 consecutive regular season contests. He earned second-team All-NFC honors in ‘80 and played an instrumental role on a hard-hitting Philadelphia defense that helped boost the Eagles to a berth in Super Bowl XV that season. He totaled 33 interceptions for 98 yards with one TD during his tenure with that franchise. In fact, no Philadelphia player owns more than Edwards’ 38 combined interceptions in regular and postseason action. His 33 regular season INTs are the third-best career tally in Eagles history, just one off of the team record of 34. Edwards concluded his NFL playing career by announcing his retirement on November 11, 1986, after playing in seven games for the Los Angeles Rams and Atlanta that season. He embarked on his coaching career the following year, serving as defensive backs coach at San Jose State (’87-89). Edwards served as Kansas City’s defensive backs coach from ‘92-94 and after a one-year stint as a pro personnel scout with Kansas City in ‘95, Edwards moved with Dungy to Tampa Bay in ‘96. In 2001 after Edwards’ departed for New York. Edwards began his collegiate playing career at the University of California in ‘72. After spending the ‘73 campaign at Monterey Peninsula Junior College, he returned to Cal for the ‘74 campaign. After transferring to San Diego State in ‘75, he concluded his playing career with the Aztecs as a senior in ’76. Throughout his career, Edwards has used his position in the league to serve as a positive role model and has been involved in numerous charitable efforts and philanthropic endeavors along with his wife, Lia. The many noteworthy causes supported by the Edwards’ in New York included the Diabetes Research Institute, the Leukemia and Lymphoma Society and the Breast Cancer Research Foundation. In 2003, Edwards was appointed as a charter member of the Fritz Pollard Alliance, which serves as a conduit between NFL minority coaches and league executives. He was also named to the Positive Coaching Alliance’s National Advisory Committee in 2003, an organization that promotes coaching in a positive manner. In 2002, he was named the Big Brother of the Year by the Catholic Big Brothers For Boys and Girls in New York. Since returning to Kansas City, Edwards has reconnected with the local Boys & Girls Clubs. He has also been an active participant in the All Pro Dad initiative, a parenting program that has received national recognition. The Edwards’ are also active supporters of the Juvenile Diabetes Research Foundation in Kansas City. Throughout the years, Edwards has participated in golf tournaments and football camps that have benefited youths and worthy causes across the country. 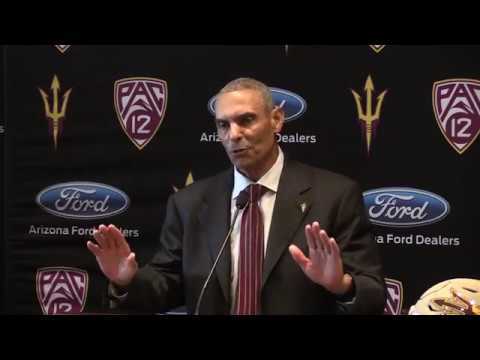 He began his hands-on participation in supporting charitable causes as a player, founding the Herm Edwards Youth Foundation in ‘85. 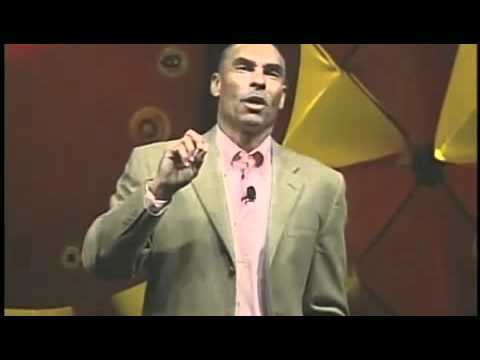 For 11 years, the Youth Foundation hosted the Herm Edwards Charity Golf Classic that raised funds for the Boys & Girls Club in Seaside, California. 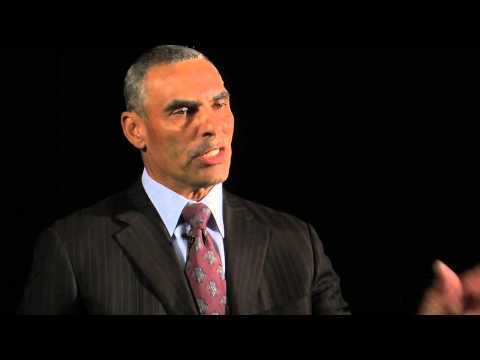 Wanting to make an even more direct impact on the lives of underprivileged children on the Monterey Peninsula in California through his foundation, Edwards solicited the support of his friends and family, as well as players and coaches throughout the league to conduct The Herm Edwards Youth Football Camp, which is entering its 12th season in 2007. The camp is free to all participants and in recent years, upwards of 700 children have taken advantage of this opportunity to hone their football skills and learn valuable life lessons from some of the NFL’s finest teachers. In May of this year, Edwards brought his camp to Kansas City, where 1,100 youths participated in a two-day event at the Chiefs practice facility. Edwards was born on April 27, 1954 in Fort Monmouth, New Jersey and was raised in Seaside, California. Edwards graduated from San Diego State with a degree in Criminal Justice. He and his wife have a son Marcus, who graduated from San Diego State in 2006 after serving as a student-athlete for the Aztecs. He currently serves as a pro personnel assistant for the Chiefs. The couple also has two daughters, Gabrielle and Vivian. 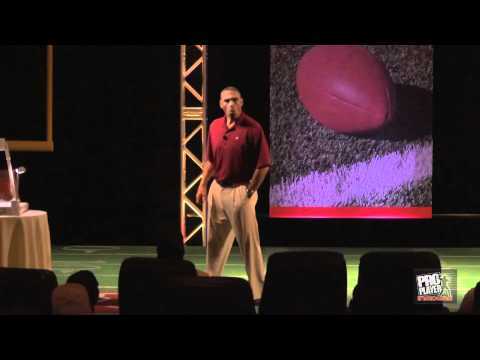 See what former New York Jets coach Herm Edwards had to say to the Crimson Tide when he took his turn as one of UA's noteworthy fall camp speakers.